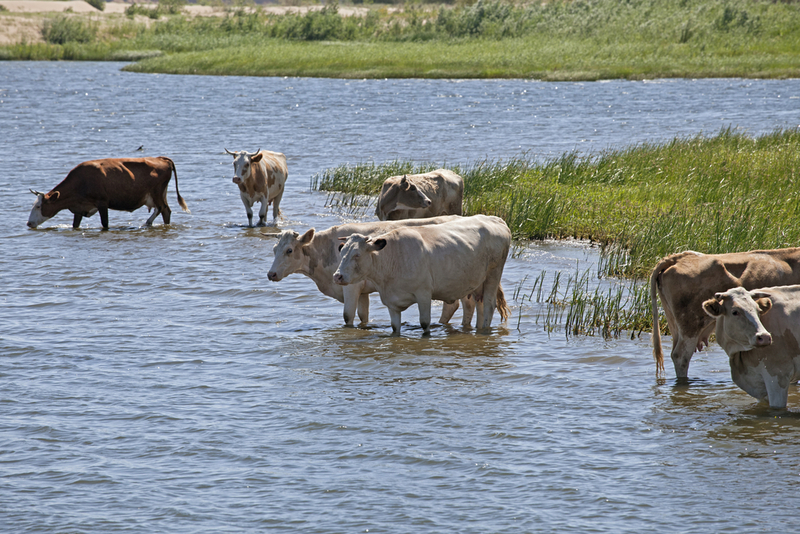 Maryland and other Bay jurisdictions now require keeping cattle out of streams. In the 1970s I had the honor of serving on the Baltimore County Soil Conservation District Board of Supervisors. I was the “urban” supervisor. My four fellow Board members were farm owners. At first our relationship was strained to say the least. But as I came to understand the difficulties farmers faced and that they cared for land as much as me (perhaps more so), I developed a deep respect for these people and the dedicated, underpaid District employees who support the farming community. There are 122 Districts throughout the Bay watershed who employ about a thousand people serving on the front lines of the effort to reduce agricultural nutrients and sediment while keeping farms in business. However, excessive paperwork and a lack of enforcement authority makes the task of convincing farm owners to implement practices challenging, to say the least. This is particularly true when those practices may not increase farm profits or could even cost the farm owner money. To learn more about the vitally important work performed by the Districts, the challenges they face in restoring the Bay, and why it is critical that each of us actively support our local District (especially when local budgets are debated) see: Don’t Fence Me In: The Race to Save Chesapeake Bay.